It’s not a surprise that the unemployment benefits paid to jobless workers are financed through federal and state unemployment taxes paid by employers like you. You need to keep your tax rates as low as possible, and since your tax rate is directly affected by the number of your workers who collect benefits through your account, it is important to know which claims are protestable and how to navigate the process. 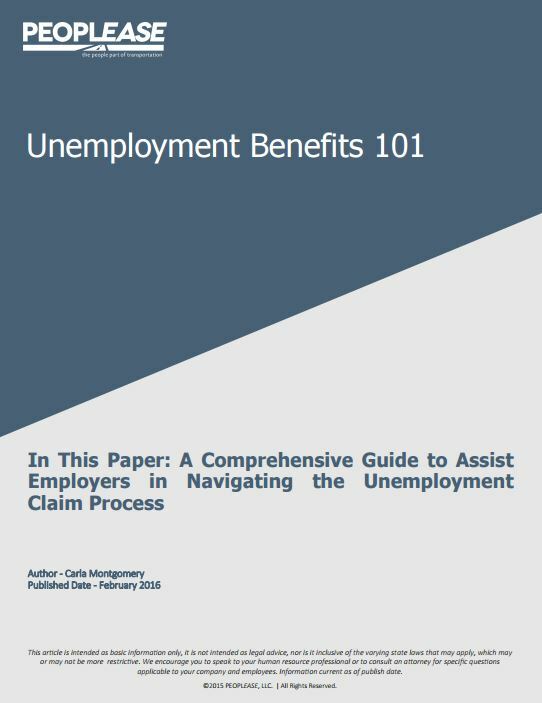 One of the main reasons a protestable unemployment claim is lost is due to the employer’s non response, or an employer not responding with critical information the agency needs in order to make a determination on the claim. The unemployment insurance system was designed to provide a weekly check to workers who are working reduced hours or have lost their jobs due to no fault of their own; and are able, available and actively seeking work. When a worker faces a reduction in hours or a loss of employment, the worker will contact their local unemployment insurance office to file a claim. This is where you as a business owner come in. 1. The first thing you should do is open the claim immediately to find out when the protest is due back to the agency. This will either show as a specific deadline on the form, or a statement that the form is due back to the agency within an allotted number of days (either from the date received or the date mailed). 2. Complete the form entirely and return it to the requesting agency by the due date. • If the form is mailed, you will want to keep a copy including the envelope with dated postmark in the event you ever need to provide evidence of the date mailed. • If the form is faxed, be sure to keep a copy of the fax confirmation page. 3. If the separation is a result of a discharge, provide any warnings, policies or other documents to support your actions. 4. If the separation is voluntary, provide a copy of the resignation letter if one was received. 2. Be totally or partially unemployed. 4. Have an approvable job separation. What Will Disqualify a Worker From Receiving Unemployment Benefits? 1. The worker was separated due to misconduct. This includes, but is not limited to, separations involving insubordination, falsification of records, unsatisfactory attendance, damage to company property, reporting to work under the influence of drugs or alcohol, or any other violation of company drug and alcohol policy, inappropriate conduct, etc.2 Performance issues are not considered misconduct unless it can be shown a specific policy was violated. 2. The worker left the job voluntarily, without good cause connected to the job. In most states, if a worker quits because the employer does something to initiate a change in working conditions (wages, hours, location, etc. ), the worker had “good cause” to quit and is usually not denied benefits. 3. A worker refuses work. This needs to be well documented. For example, in the event a truck driver is refusing loads, you will need to have the date the load was offered, details of the load (to and from), the amount of payment expected to the driver and the reason the driver gave for refusing. Worker Granted Unemployment Benefits— Now What? 1. Review the determination received from the agency for the reason the worker was granted benefits. Next, review your records to decide whether enough information is available to appeal the determination for a hearing. 2. If you feel you have sufficient information to appeal, submit the appeal by the due date which is noted on the form. 3. Start preparing for a hearing. The majority of hearings are telephonic but sometimes an “in-person” hearing is scheduled. 4. Watch the mail for the hearing notice. This will be your last time to present your case to an agency representative (or hearing officer). You must have someone testify to the specifics of the separation that has firsthand knowledge of the events. Anyone presenting evidence without firsthand knowledge may have their testimony considered hearsay and dismissed. During the hearing, the hearing officer will question you and the worker to obtain the facts needed to make a decision. If you are acting on behalf of the agency representative, you will have the option of questioning the worker as well. Be brief but factual in presenting evidence. Remember the importance of providing information timely and accurately to the requesting agency. Documentation is always helpful to strengthen your case. Be prepared and document your case, but always know that the state unemployment agency has the authority to make the decision to grant or deny benefits. If you have questions, consult your local unemployment office or the Unemployment Claims Manager at PEOPLEASE.